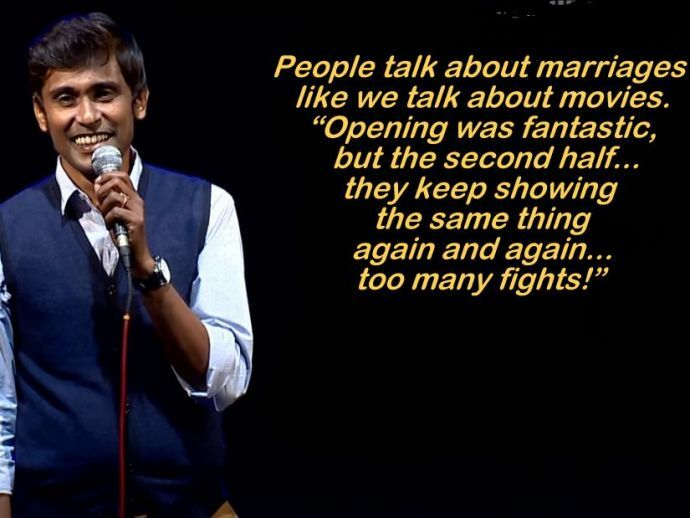 This Comedian's Observations About Marriage As An "Institution" Are On Point! The comedian's take on marriages, and how you can never be early enough for your child's preschool admissions. To both married and single people, the proverbial grass always appears greener on the other side. Absolute happiness is a myth, they say, but one can always cultivate an optimistic, or rather realistic, way of looking at things. Which is what this stand up comedian, Alexander Babu, or Alex, has done. He is married, and is a father to two kids- all of which comes with pros and cons of its own. In this video, Alex tells you about the real nature of marriage (no less than a Bollywood masala flick, might we add), how to navigate your way through the tricky business of being married, and why you can never be early enough for your child's preschool admissions.